Who would have imagined twenty years ago that so much of our life would revolve around a search engine. Back then, the Internet was a very primitive new frontier and Google's name was still one of many other search engines around vying for a very limited number of Internet users. 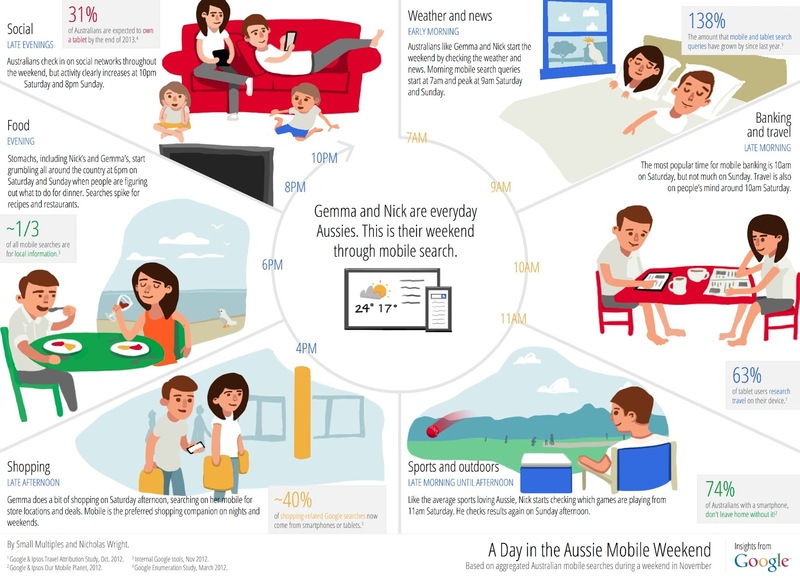 Today, Google knows pretty much everything about everyone and they reckon they have Aussies and their love for the weekend all figured out. Check out the infographic that recently came out of Google HQ. Does this pretty much sum up your way of life nowadays?